Apple releases iOS 12 -- update your devices now! 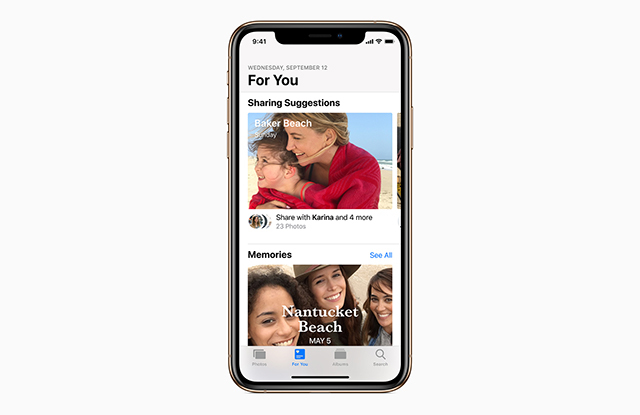 If you own an iPhone (5s or newer), or an iPad, you can now officially update it to iOS 12, the latest and greatest version of Apple’s mobile operating system. iOS 12 offers performance improvements, new AR experiences, Memoji, Screen Time, and Siri Shortcuts for apps, to name just a few of the new additions. Pre-order your iPhone XS, iPhone XS Max and Apple Watch Series 4 now! With this update, Apple says the camera will now launch up to 70 percent faster, and the keyboard 50 percent faster. Typing is more responsive too. If your iPhone is busy doing other tasks, apps can launch twice as fast under iOS 12 than in iOS 11. Apple has improved AR in this update, and claims users can enjoy an "even more realistic mix of the virtual and real world with support for image detection and tracking, making it possible to detect 3D objects and automatically apply reflections." AR files can now be viewed nearly anywhere in the OS, including in Messages, Safari, Mail, Files and News. iOS 12 introduces Memoji, personalized characters you can use when communicating in iPhone X, iPhone XR, iPhone XS and iPhone XS Max, and the Memories and iCloud Shared Albums have been combined in a new For You tab. See the image at the top. Screen Time helps users see and manage the time they spend with apps and websites, and there are new modes in Do Not Disturb which end based on a specified time, location or action. The new Do Not Disturb during Bedtime option dims the display and hides all notifications on the lock screen until prompted in the morning. Siri Shortcuts is a promising new addition that lets third-party apps work with Apple’s digital assistant, and Apple has boosted both privacy and security in Safari. Apple Books is a new app that makes discovering and enjoying books and audiobooks effortless, thanks to the new Reading Now tab, the Book Store tab that makes it fun to browse all that Apple Books has to offer, the Library tab to easily organize one’s full collection, and a dedicated Audiobooks tab. iOS 12 is available today as a free software update for iPhone 5s and later, all iPad Air and iPad Pro models, iPad 5th generation, iPad 6th generation, iPad mini 2 and later and iPod touch 6th generation. For more information, visit apple.com/ios/ios-12.